The girls of GFriend have taken home their second win for "Rough." 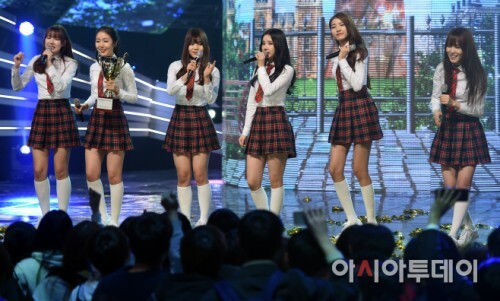 GFriend was crowned the winner of this week's "Show Champion" that aired on February 3. The girls shed tears after giving a thank-you speech to express their gratitude. Meanwhile, other artists who performed on this week's broadcast include Ryeowook, 4Minute, Yeji, Dal Shabet, Stellar, Laboom, IMFACT, and more.